In October 2012 my life was forever changed. Society likes to think that because I miscarried early that my baby some how did not matter, that my pain and heartbreak was not real. I am here to tell you that all of that could not be further from the truth. My baby matters! My love for her is real, and my heartbreak for her is real. My baby matters. Her short life matters. I believe the baby I was pregnant with in September – October of 2012 was a girl. Every night of my short pregnancy I had a dream of a baby girl, it was the same dream every single night. And her name was Lily. I still have that same dream every so often, it both comforts me and haunts me. I love her. She touched my life and heart in ways only a baby can effect a mother. I loved her. I never got to know her. I never got to meet her. She taught me so much in such a little time, and continues to teach me life lessons and teaches me things about myself. She tested my strength and love in such a short time. I never got to hold my baby, hear her cry, feel her sleeping body on my chest, I never got to see her first smile. I never even got to feel her move in my belly. But I loved her so. She touched my life in such a strong way in such a short time. I was forever changed in that moment. I will never forget that day. The day I became a mother to a baby I will never know. My arms have never felt so empty, my heart so crushed, my body so hollow and empty. Emptiness, I felt so empty, it was all around me. The emptiness crushed me. It’s been 3 years since then, and my heart still aches for my baby. My arms still reach out to hold my baby. Life has moved on, others have moved on, and some people have forgotten all about it. I haven’t. I never can. I am forever missing a piece of me, a piece of my heart. I may not have been pregnant long, but that doesn’t change my heartbreak or the fact that I lost my baby. I am a mom to an angel baby. Every single detail of that day is forever burned into my mind, it is on auto reply every so often. It comes to me when the light is just so in my room, and I remember laying in my bed sobbing and begging for the pain to stop. It comes to me when I look at my beautiful children and think of how blessed I am and then it crushes me all over again that one of my babies is gone forever. Its been 3 years and I have a healthy happy daughter here with me now. My rainbow baby. I love her. I’m thankful for her. But my heart still aches for the baby I will never get to hold. This is the first time I have said her name aloud to anyone other than my husband. It hurts so much to say it. Every time I do there is a gapping whole in my heart being ripped apart anew. But at the same time I take comfort in it. She was so very loved. She was not with me for long, but she still matters. She is still important. I will not hide her memory away because society says I should, because I miscarried before I reached 12 weeks. I had a life growing inside me, and she had a name, and I loved her, and she mattered then and she matters now. Her name is Lily. On October 19th 2012 my baby grew her wings. My family will forever have an angel watching over them. Her name is Lily and I love her so. « I Met My Birth Mom. What It Is Like Two Years Later. 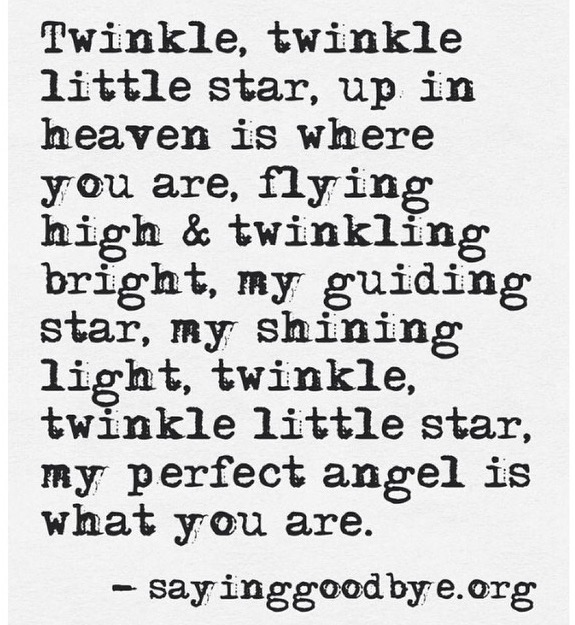 I have heard that it is a good thing to name your baby up in heaven. It proves that Lily was indeed loved and one day you will be reunited with her. Thank you. I’ve heard multiple times to name your baby. It just felt natural to do it.